I am really happy to announce that the first paper from my postdoc was just published online as early view. The processes that determine the probability of identifiably detecting an animal species divided into six spatial scales. Four scales for the probability that an animal passes a CT:1st order or distribution range scale, 2nd order or landscape scale, 3rd order or habitat patch scale, 4th order or microsite scale. 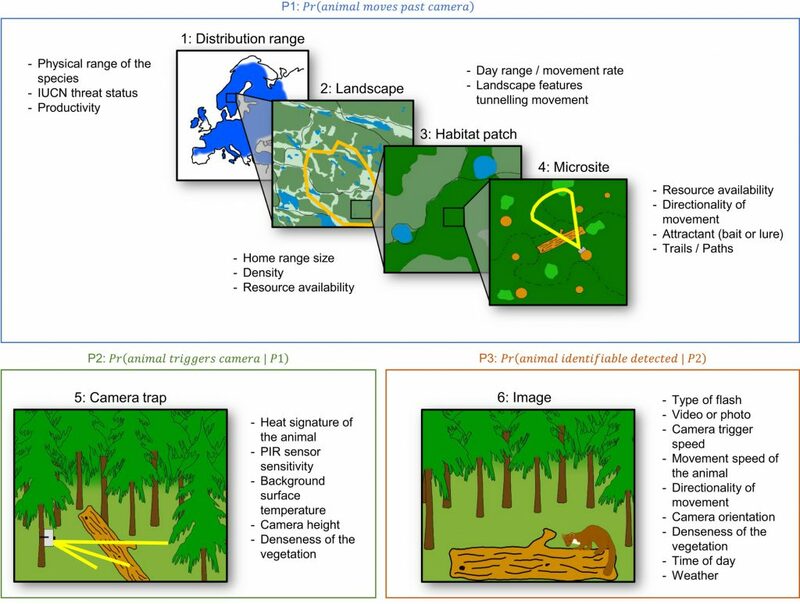 The 5th order or CT scale for the probability that the animal triggers the PIR sensor of the camera and the 6th order or image scale for the probability that the animal is identifiably detected.